Vlasov’s containers are an example of how everyday objects become contemporary art when set in a gallery context. 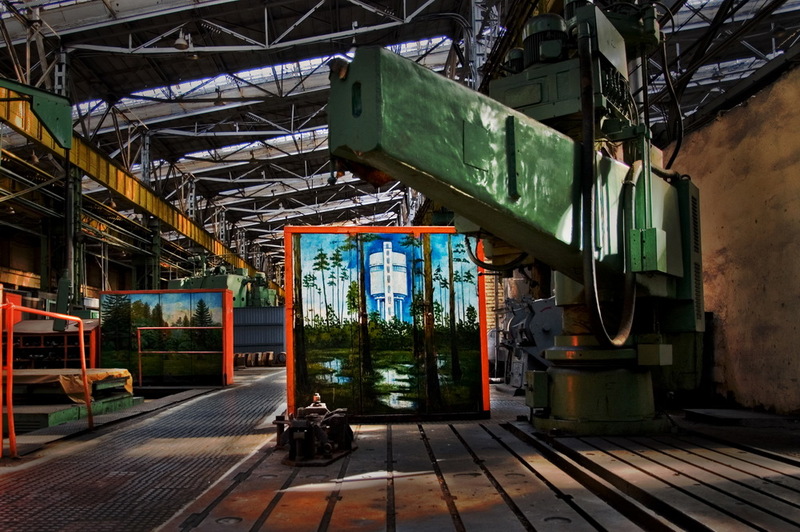 Since time immemorial, the Urals and heavy engineering have been synonymous — the region was once the most industrialized area in the world. But times change, and the Urals have since acquired a reputation as a platform for more artistic ventures. 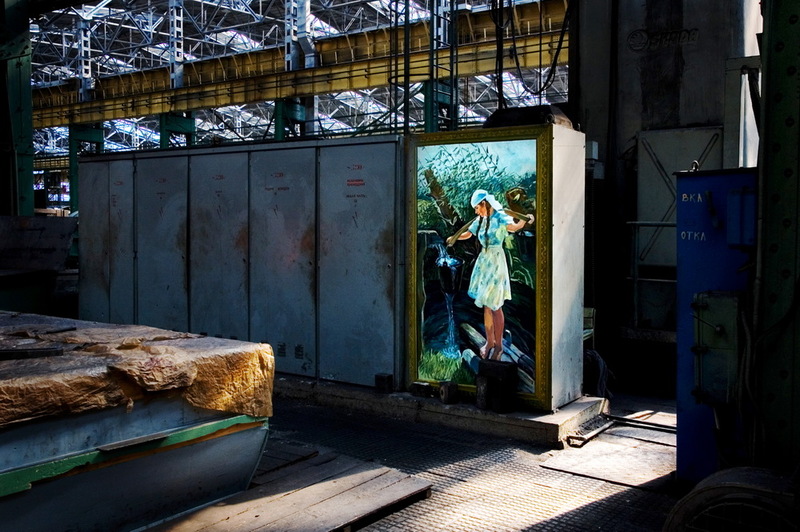 New galleries, street art, the Youth Art Biennale... If you think that artists are far removed from the city’s industrial roots and never the twain shall meet, read on. Gennady Vlasov was born in 1943 in Sverdlovsk (now Yekaterinburg). In 1961 he graduated from the Uralmash trade school. 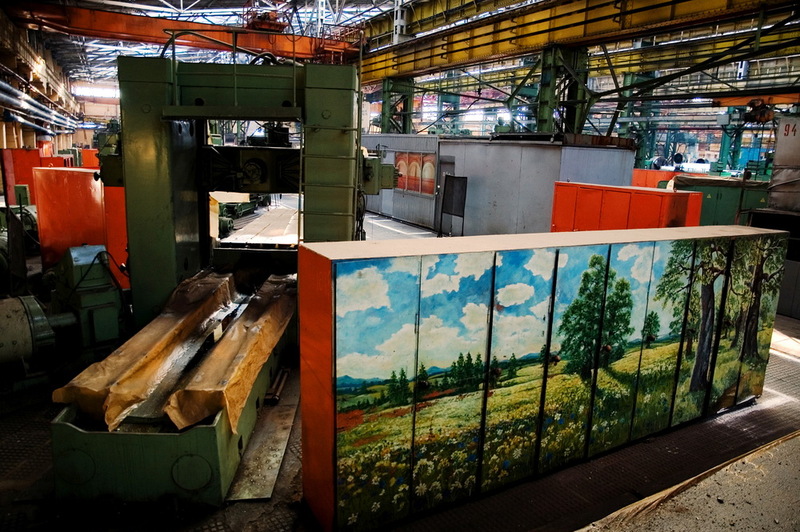 A machine-building giant, UralMash was the flagship of Soviet industry. 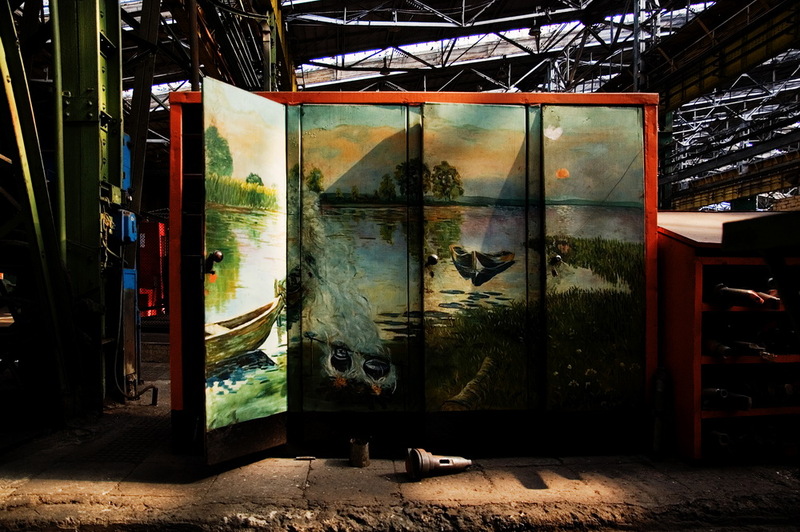 Vlasov worked as a factory artist from the late 1960s to the early 1990s. He designed wall newspapers, wrote slogans, and created satirical posters. 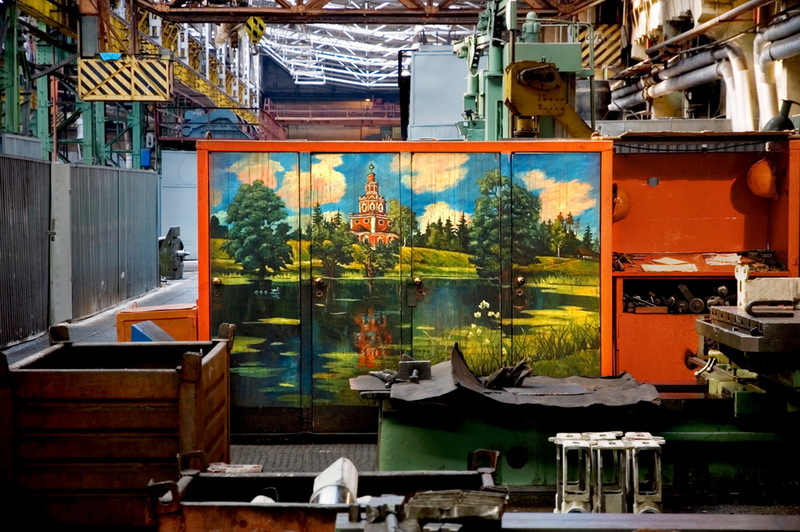 In the late 1980s he adorned the tool cabinets in one of the workshops with replicas of famous landscapes by Russian artists and some of his own creations. Among the familiar works he copied were 'Girl with a Yoke' and 'Haymowing' by Arkady Plastov, who painted everyday scenes of village life in the style of socialist realism. 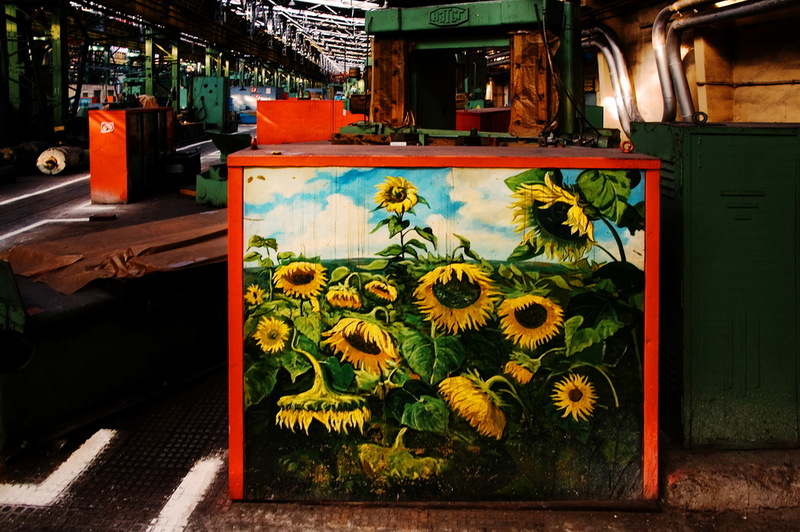 In the 1980s workers themselves began to choose themes for their containers, mostly depictions of nature. 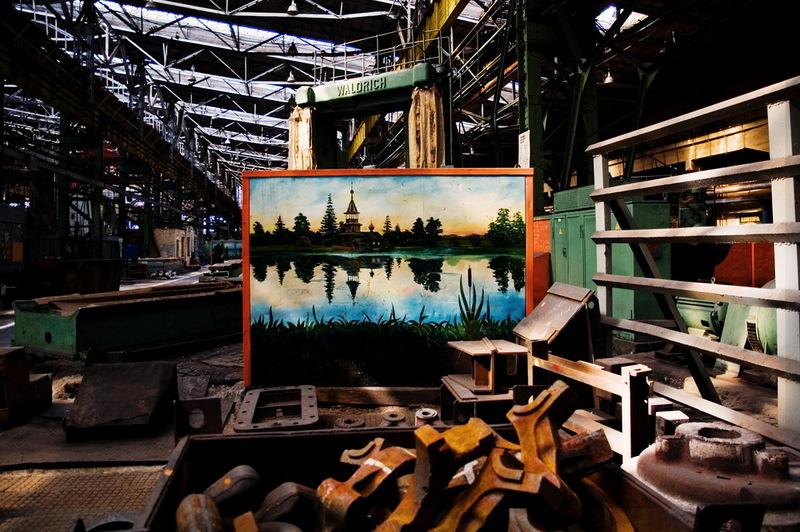 In the twilight days of industrialization, art was seen as a way to break free of the gray confines of the factory floor. 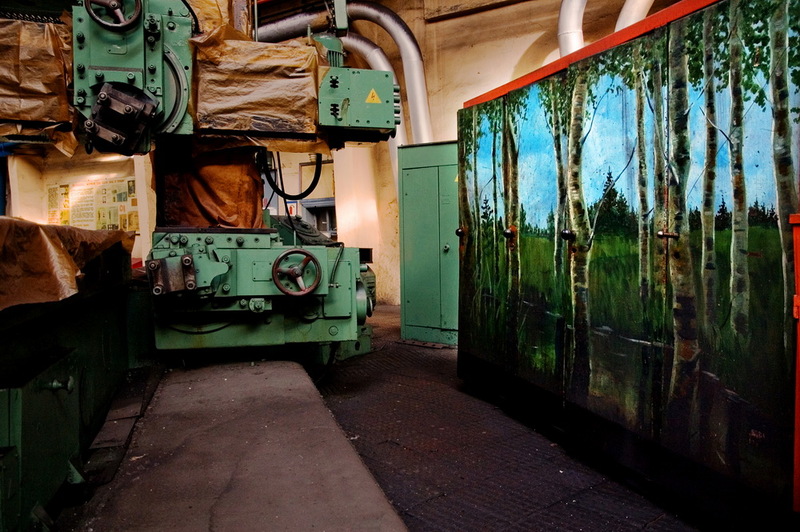 In today’s era of modernization, the paintings hang like fresh air in a sleeping kingdom of hulking machines condemned to silence. A few years ago some of the works appeared online. 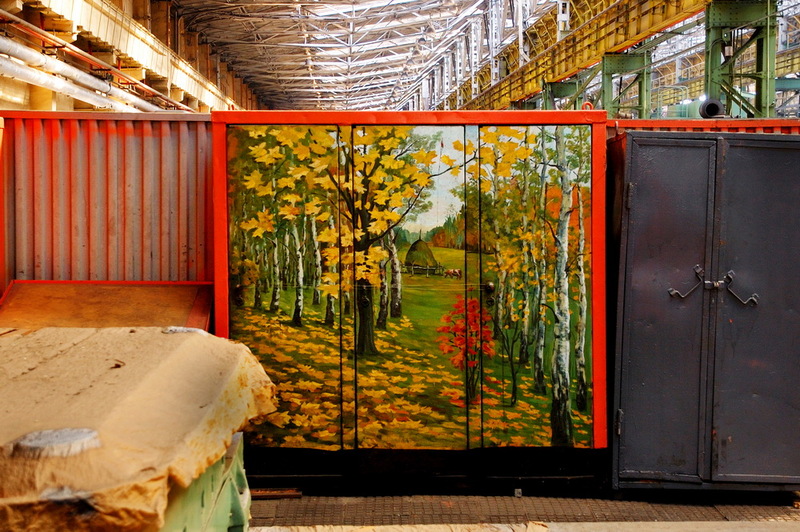 They caught the eye of a group of Yekaterinburg curators of contemporary art, who turned Vlasov’s containers into a special project at the city’s Biennale. 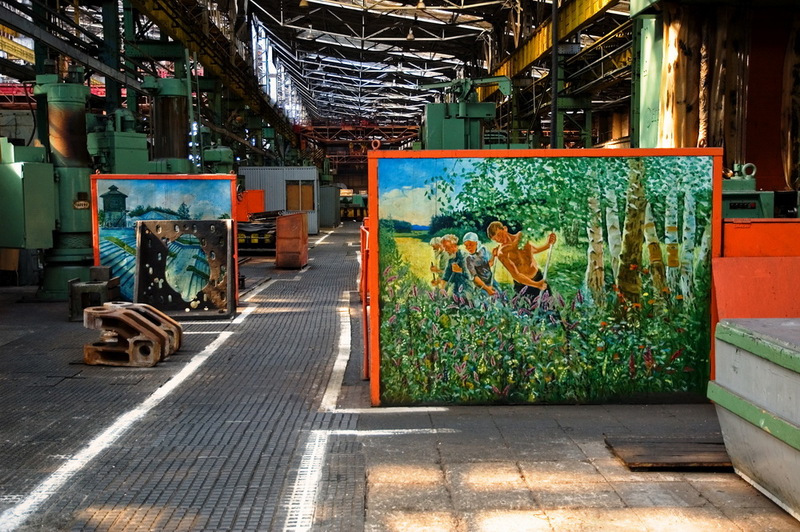 “We’ve been here years and had an eyeful of this art!” laugh UralMash workers, glancing at a group of visitors on a tour of the Vlasov exhibition. However, “exhibition” is a slight misnomer. Despite the arrival of curators, art critics, and journalists at the workshop, nothing really has changed.